These are some of the services we provide. 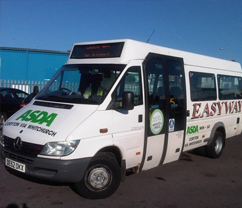 At Easyway, our minibus hire service is focused on meeting the needs of our customers who live in Bridgend and the surrounding areas. 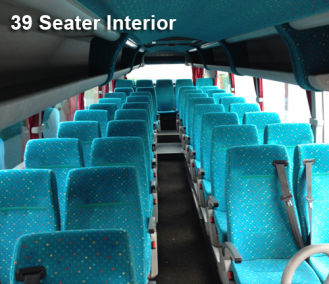 Our aim is to provide a service that covers everything, ranging from short journeys across South Wales to longer journeys throughout the UK.Our fleet of vehicles include small minibuses that are suitable for parties of up to 16 people and we also have large minibuses that can seat from 19 up to 53 people. 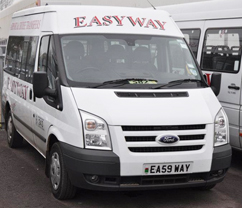 ...."(continued)"
Whether you are a school, college, university, sports team or business, at Easyway minibus hire, we understand that you have specific needs when it comes to travel. We offer a contract hire service that provides you with a solution to your travel needs, regardless of whether you require a minibus or coach. Our short, medium and long-term transport contracts are designed to cover the requirements of all customers. We appreciate the ...."(continued)"
Our regular route services cover the whole of Bridgend and surrounding areas of South Wales. Our aim is to provide a regular route service that our customers can rely on. At Easyway, we understand the importance of having a service that you can trust and a service that is delivered with a personal touch. Our customers will benefit from a trustworthy and reliable service that enables them to plan their day effectively. Visit Traveline ...."(continued)"
We want our customers to see Easyway as their go-to minibus and coach hire service. We aim to offer a service that is designed to fit around your desires and requirements. 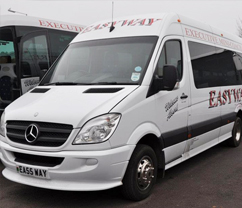 Whether you are arranging a special event, travelling to a sporting event or booking a day trip, Easyway minibus and coach hire is the right service for you. We are specialists in delivering private minibus hire, regardless of your needs. We are a professional and ...."(continued)"